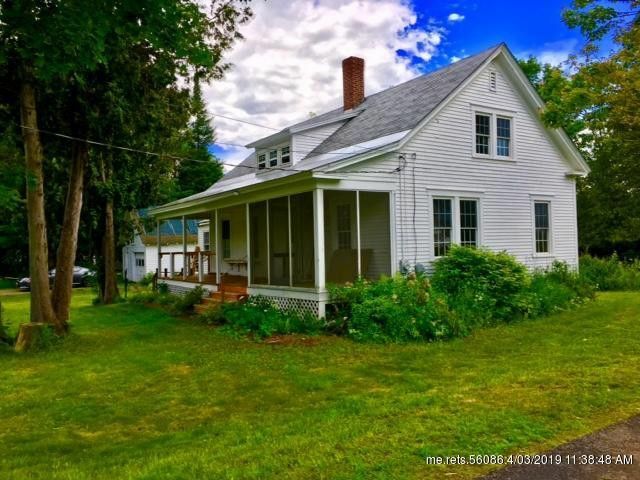 For the buyer who wants to make a charming older house their own! Come see this Dover Foxcroft home located on a large fenced 1+ acre in town lot. So much potential with a 1st floor bedroom, large kitchen, dining area and living room. 2nd floor offers two more bedrooms and an office. Enjoy evenings on the spacious front porch while you indulge in your own mouth watering raspberries and ripe apples from your own property. Call today for your personal tour! Directions: From the light at West Main St and North St, follow North St. At the Post Office, turn Right on Summer St. Turn left on Harrison St. Follow Harrison to Danforth St. on the left. House is on the corner. Sign is up.